When carrying out a welding project, the safety is welder is always important. However, protecting the welder is often the only safety precautions that are taken. The safety of bystanders is often forgotten completely. Issues such as burns, fume inhalation and vision damage are just a few of the injuries that bystanders could suffer from. However, there is a solution that could help combat some of these issues. By putting up welding curtains, you are providing protection for bystanders, as well as reducing the risk of fire. By suspending welding curtains around the operation, you can protect those working nearby from arc eye and weld-flash, eye injuries caused by the bright glare welding causes. In addition, by using welding curtains to isolate an area, you can also prevent welding spatter from landing on nearby materials or machinery. Welding spatter is extremely high in temperature, so can very easily cause fires if not properly contained. 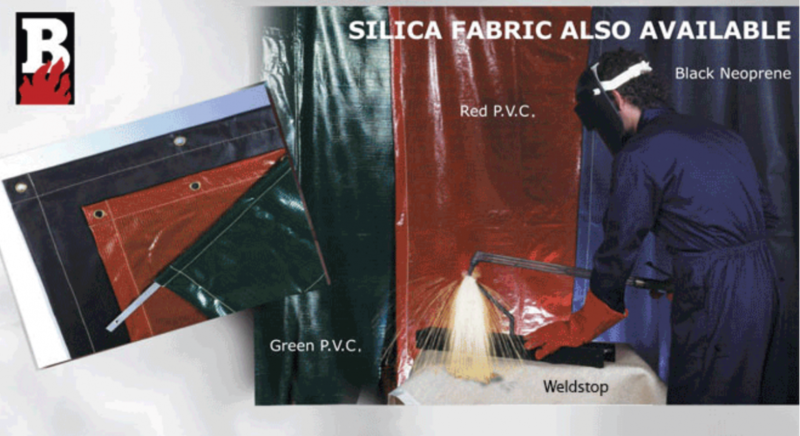 IC International has their own brand of BRIDELA™ welding blankets and welding curtains. These curtains can be supplied in custom sizes, or in roll form. This means that your welding curtains can meet the most suitable requirements for you. Brass Eyelets can even been added to the fabric, allowing for easy suspension. For more information about welding curtains from IC International, please visit their website.